We’ve had a lot of snow over the past few days – as severe weather hit most regions across the UK. 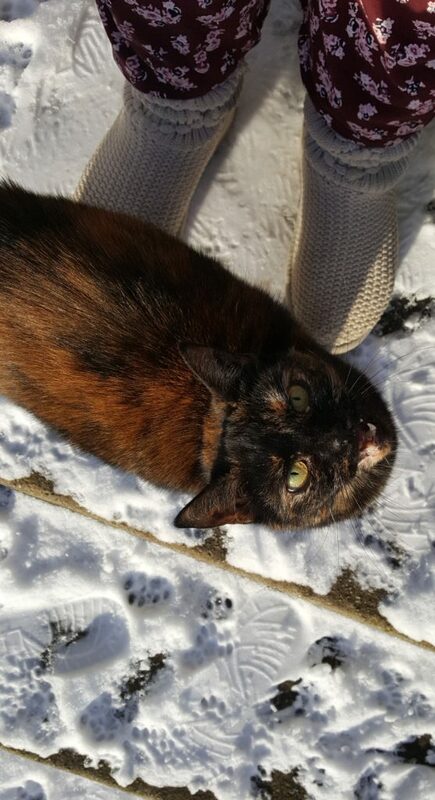 Here in Scotland, the weekend saw snowfall of up to 5 cm and while none of it is still lying now, the white flurry was a welcome change for my five rescue cats. Here’s how they each reacted to the winter wonderland setting. This is the first time that Ripley, our youngest at just eight months old, has seen snow so she was very wary of it to begin with. But in the end, her curiosity got the better of her. 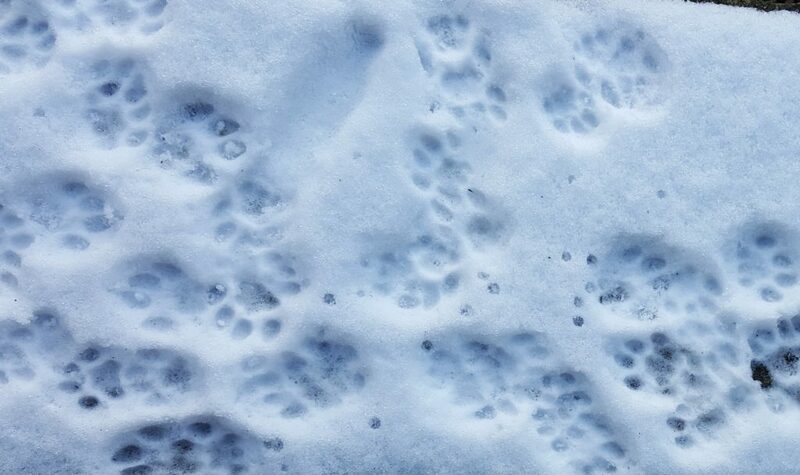 Within 10 minutes she was bounding around in the snow and leaving little kitten pawprints – so cute! Akira – our biggest cat – has always loved the snow. He’s not much of an outdoors kitty but, for some reason, he enjoys running about in snow – especially deep snow. It seems like it kinda makes him into a kitten at heart again and that makes me so happy. I love watching him come out of his shell and enjoy himself. Caesar, our eldest cat, sat by the back door watching the snow fall – all the time whining to get out. As soon as I opened the door and he felt that arctic breeze though his desire to go out quickly disappeared and he chose instead to just return to the warmth and comfort of the sofa. I think he’s a bit too old for venturing out into the cold weather any more. Loki, our second youngest, is an extreme outdoor kitty and, as usual, he spent most of his time over the weekend wandering around outside and playing with the neighbours’ cats – the snow simply didn’t affect him – or them – at all. Buffy was also her same self – she went out when she wanted too, as is the norm, but I did note that she didn’t go out as often or for as long over the snow-covered weekend. Why do some cats – like Ripley and Akira – love snow, while others – like Caesar – think it is the worst thing to happen to the garden and outdoors? It’s simply the same situation as whether or not your cat likes water, going outdoors, other cats etc. Cats are individuals with their own interests, likes and dislikes. 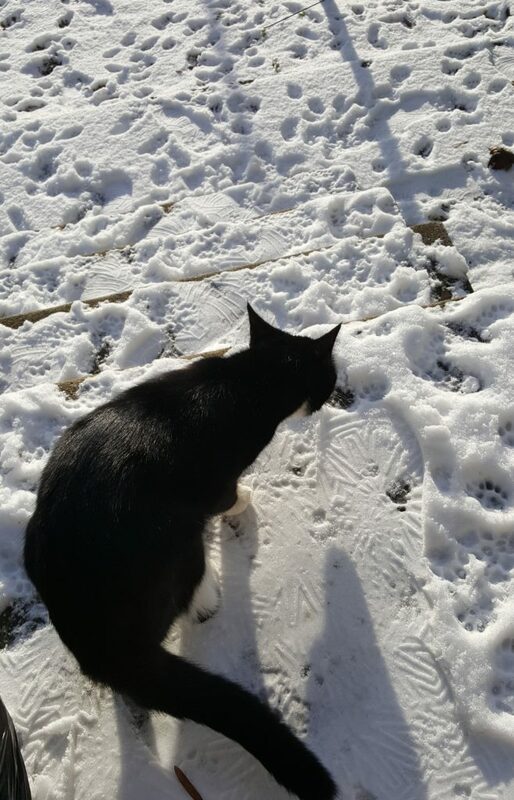 So, while all cats are curious and snow is a new thing to them initially – and naturally interesting first time around – afterwards their continued interest really is down to their personality. Letting cats out when it’s middle of the day as light is high and traffic is low while everyone’s at work rather than at night.